LOS ANGELES, CA (THE WIRE PRESS) – Rising singer and pop artist Jessalyn Gore p/k/a Jessalyn has announced the release of her debut single “Want Me.” The 20-year-old New York City native and CEO of VillageBeats Records, Jessalyn is a gifted artist and talented performer who uses music to connect with those in her community and around the world. You can hear a snippet of the new single on Soundcloud. Produced by Remo the Hit MAKER (50 Cent, French Montana, G Eazy, Jeremiah), the song was written by Peter Rose. 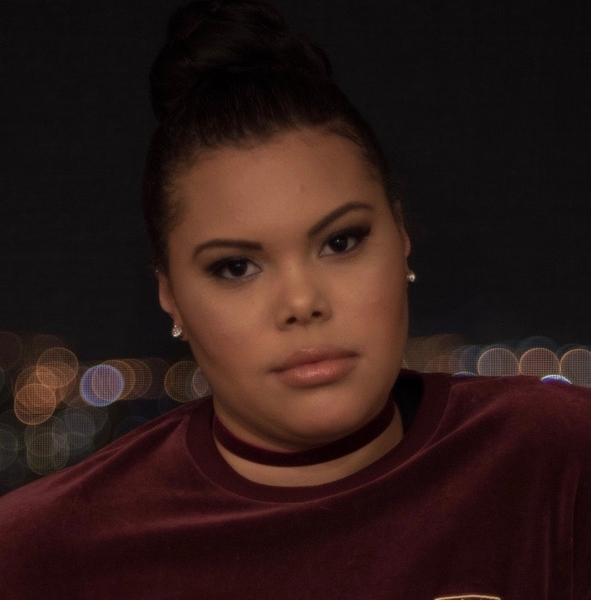 Jessalyn’s new hit single has already found success on digital radio stations staying in constant rotation on 987theheat.com and 100.1The Heat for the past several weeks. Heavily influenced by r&b, soul, and pop music, she’s also dedicated her time to serve those in need and uses her music as a platform to bring people together. It is through her voice that her passion lies to create great music that people will enjoy and to also use her voice to speak for those who are less fortunate. “Want Me” is now available on iTunes, Google Play, Amazon, and Spotify along with other online music retailers. Jessalyn’s passion for impacting the world has led her to become very active in community service. She spent three summers as a volunteer and counselor at a Camp Vacamas, a sleep-away camp for inner city youth. The young CEO has managed to launch a promising career in music while continuing to give back to her local community. She volunteers with WIN (Women in Need), a NYC based organization that helps homeless women and children. During high school, Jessalyn spent three weeks in Ecuador teaching children English and helping to build a school. Jessalyn has two passions in her life; music and making a positive impact in the world. Jessalyn, the daughter of John Gore, has been around music her entire life. At four years old she asked her grandfather to build her a stage in her family’s basement so she could perform for her family. Jessalyn is a gifted singer with a unique, soothing, soulful voice. At only 20 year’s old, Jessalyn is the CEO at VillageBeat Records and the label’s first artist.